Are we really in the middle of August? I swear, it feels like school just got out and we’re getting into the swing of summer! Camping trips, potlucks, late nights, days at the pool. Those things may still be happening, but I’m sad to say that they are soon coming to an end, as we are now into August. Back to school, cooler nights (which are welcome by me! ), and one last trip to the Tastee-Freeze. One thing I look forward to with the change of season is getting back into my routines. Earlier bedtimes for kids and parents alike. A normal dinner routine that consists of more than just tator tots and fry sauce. And most importantly for me, I look forward to getting back to my gym schedule. Between all the summer events, getting to the gym is just kind of hit or miss for me. 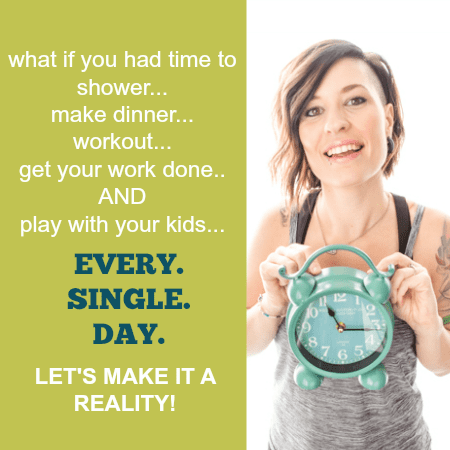 I know most people are the opposite and get their gym-time on during the summer while they get lazy during the holidays, but for some reason, it’s all about routine. Once my family is in a routine, I just hop right on that get-fit-bus and work gym-time into my day. And with those awesome workouts, I get rewarded with some of my favorite healthy treats. 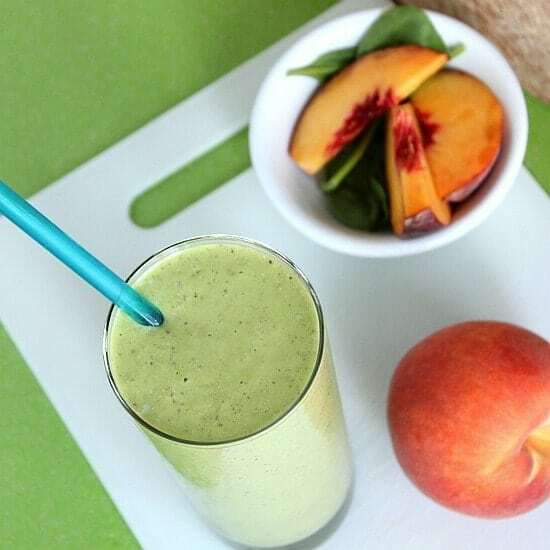 A couple of my favorite healthy snacks are my Dark Chocolate Almond Energy Bites and Homestyle Bran Muffins, but my all-time favorite way to reward myself after a hard workout is with a nutrient-packed smoothie! Each of my smoothies starts with the same base. Greek yogurt, oatmeal, chia seeds, flax seeds, protein powder, and water. And then you just get creative and start adding fruits and veggies of your liking. Today, I thought I’d bring you a peaches and cream version. And to amp it up, I threw in a huge handful of spinach for added iron and folic acid. Don’t get scared and walk away now at all this talk about spinach. Don’t you fret, little one. These smoothies taste nothing like spinach. All you can taste is the sweet peaches and an added banana. 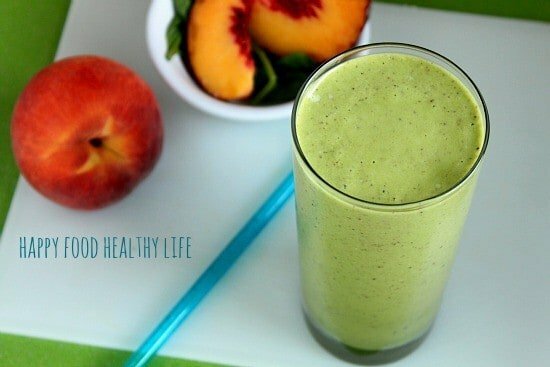 The vanilla protein powder also gives it a creamy taste, hence the Peaches & Cream. Add all ingredients to a blender in the order listed. This will ensure that all ingredients get combined properly. Enjoy immediately or freeze for later enjoyment if you prefer a thicker consistency. I have to try chia seeds! I’ve been trying to do a smoothie every day for breakfast, I’ll be adding this to my rotation! Just throw them in there! There so good for you and you’ll never even know they’re there! I’ve been collecting smoothie recipes and this gets added today!!! I need to start drinking more of these. You’re gonna love it, Lori! I tried this recipe after you posted it to my blog and I LOVED it! I will make it again. Thanks for sharing. I’m so glad you liked it! It’s one of my favorites, for sure! I love chia seeds in my smoothie. I am afraid to put spinach in because I used way to much once. Maybe if I used less and built my way up it would be easier. I really want to try this. It sounds so good. I read this when you put it on the Bakerette blog and I thought I was having a major deja vu reading it just now. So glad I’m not crazy. haha, yeah I should probably disclose “previously published on xyz.com” in the future to avoid further confusion lol. I hope you try it out! Oh I’m so glad you like them!! Sometimes I have healthy things…. sometimes not so much… those are the ones I feed to my wife too lol. Hopefully I’ll be making more healthy meals once we get moved and settled into our new home. Right now things are just crazy! 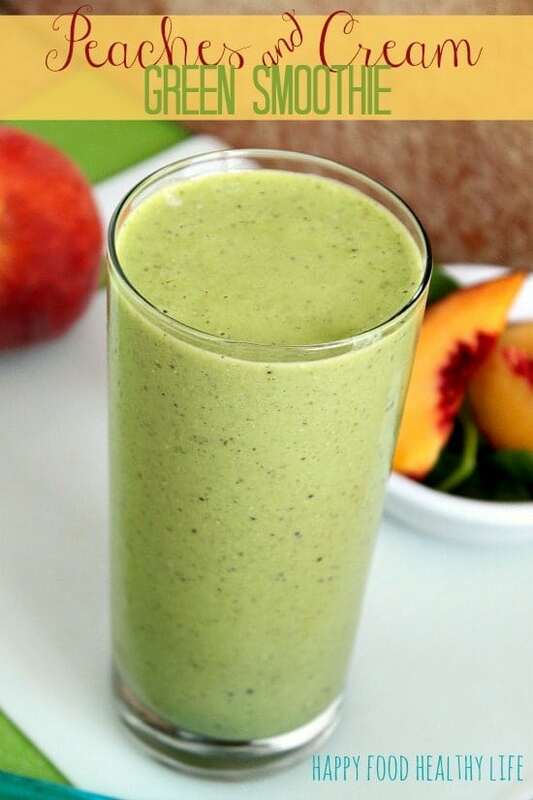 This looks like a great smoothie. I have been looking for some good breakfast ideas, to help me get my eating habits and weight a little more under control. I feel like if I can conquer breakfast, I will be off to a good start. Thank you so much for sharing this with the Less Laundry, More Linking party. I need to do better with breakfast too… I’m looking forward to my routine getting back to normal once school starts! Good luck getting back on schedule soon.